Dr. Michelle Cappuccio graduated from Life University in 1992. She attended there with her sister, and they practiced together for 16 years. Their children grew up at their chiropractic office and were all healthy and adjusted regularly. Dr. Michelle established Healing Hands Chiropractic in 2011, providing the Clark community with hands-on, natural chiropractic care. All ages and conditions are welcome at our practice. Our emphasis is on addressing the needs of you and all of your loved ones. We provide non-medical primary health care and can be your first line of defense against a myriad of concerns. Along with helping you, Dr. Michelle will teach you about how to maintain optimal health for you and your whole family. We’re fortunate to have been a part of many people’s healing over the years. Dr. Michelle loves to see children in her clinic. One young boy experienced adverse effects after being vaccinated. He wasn’t able to function normally. His tongue wouldn’t sit properly in his mouth, and he was unable to control his flow of saliva. Though chiropractic couldn’t erase the damage done, he was able to meet small milestones. Most people wouldn’t consider them a big deal. To this boy’s mom, however, it made all the difference. If you have insurance coverage, we’ll be happy to take it. We also accept Medicare. 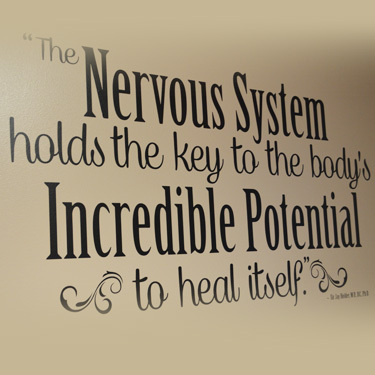 Contact Healing Hands Chiropractic today to schedule your appointment!